We may live in an era of fake online news and liberal media conspiracy, but in San Diego in 2016 the articles people actually read were about old-fashioned American staples: the military, elections, crime and cute animals. 1. 4,500 Sailors, Marines to Deploy from San Diego on Makin Island Ready Group — More than 57,000 people read our article about the USS Makin Island amphibious ready group preparing to deploy to the Middle East. Nearly two dozen readers posted comments questioning whether the article jeopardized operational security, but the Navy reassured us that all was fine. 2. 10 Reasons Why You Shouldn’t Vote for Donald Trump — In retrospect, this op-ed column by Times of San Diego’s editor seems especially quixotic. Some 18,000 people read it, but they probably weren’t voting in swing states. 3. 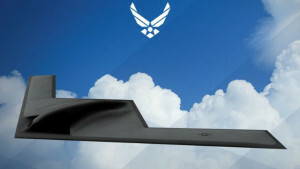 Air Force Unveils First Image of Northrop Grumman B-21 Bomber — It wasn’t a very good image, but the popularity of this article proves that San Diego is still an aerospace town. More than 17,000 people looked at the artist’s sketch of the new flying-wing nuclear bomber. 4. Judge Curiel: No Delay in Trial Over Trump University — Trump’s criticism of Indiana-born, San Diego federal judge Gonzalo Curiel because of his Mexican heritage was a low point of the campaign. Curiel ignored the criticism and refused to delay the Trump University fraud trial, which was later settled. Nearly 14,000 read this article. 5. 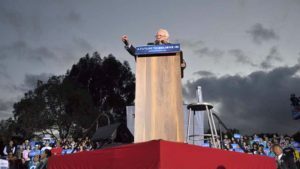 Bernie Sanders Rally Goes Silent Amid Medical Emergency — Almost an hour into his stump speech, Democratic Presidential candidate Bernie Sanders quieted thousands in National City as emergency workers attended to a woman who had fainted. The crowd then began shouting“Bernie cares!” Some 11,000 people read this. 6. Woman Slain on New Year’s Day Had 6 Kids; Husband Is Suspect — This tragic story began the year. Sheriff’s deputies received a call from a man who said he had just shot his wife. They arrived at a home near El Cajon and found a woman with a gunshot wound to her head. More than 10,000 read this article. 7. Commander Couldn’t Maintain USS Fort Worth, Relieved of Duties — Failure to adequately maintain the San Diego-based littoral combat ship USS Fort Worth cost its commander his job. The new ship’s propulsion system was damaged due to lack of lubrication, leaving it stranded in Singapore. Over 10,000 read this. 8. 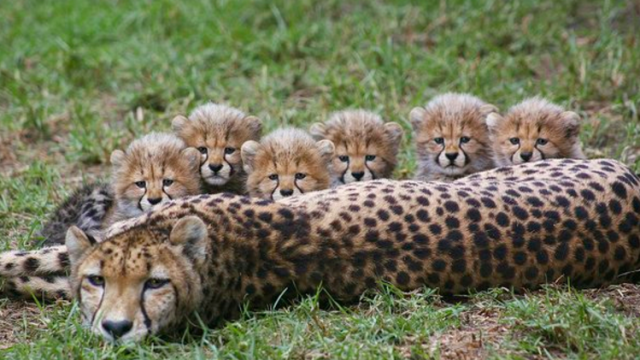 San Diego Zoo Shares Adorable Images of Large Cheetah Cub Litter — In November 2015, a cheetah at the San Diego Zoo named Addison delivered an usually large litter of six cubs. In February, the zoo shared adorable photos and video, and over 10,000 readers were enthralled. 9. Compton School Trustee Convicted of Sexually Assaulting Student Here — Nearly 10,000 read this article about a Compton Unified School District trustee who was convicted of sexually assaulting a 25-year-old college student as the victim slept in their shared downtown San Diego hotel room. 10. Complete San Diego County June 7 Primary Election Results — Nearly 10,000 people read this article, and an equal number perused a guide to the races and candidates. Times of San Diego received a first-place award for its 2016 election coverage from the San Diego Press Club.